These AudioMX Bluetooth Headphones are superb. I got them to review and for my son to listen to sound when using his tablet, unfortunately the older ones with wires had broken and I wanted a replacement with no wires. They are lightweight and fairly small, ideal for either a young person (good headphone fit) or a grown up wanting something a little less heavy on their head. The padding is thick and comfortable all around the headband aswell as on the ears. AudioMX’s headphones are styled in a modern design with brown leather look phones perforated with small holes which let your ears breathe and the sound flow freely. 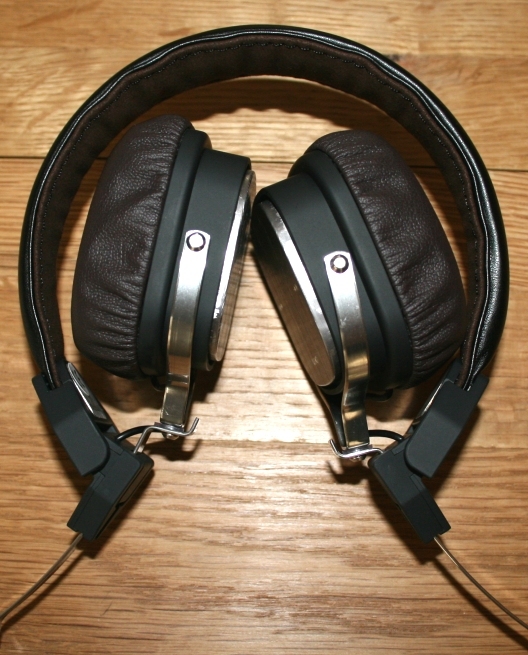 They fold up neatly for storage with the pads turning inwards to reduce the overall size when putting them away – and this is bliss, because the AUDIOMX headphones are bluetooth, there are no straggly long wires to have to wind up every time you store them, and unwind each time you get them out to use. Pairing the bluetooth is simple – and the device shows its brand name as it connects instead of that long winded and meaningless number which sometimes appears on lesser well produced devices. 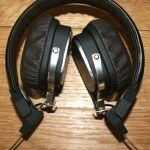 How do the AudioMX Headphones Sound? I do not profess to be a sound buff or anything – never have – but I know when I am happy with what I can hear. With the headphones in position and the sound turned up (make sure you don’t have it too loud or over time I believe you can damage your eardrums) the bass sounds deep and you quickly become immersed in the music. Kind of like being taken to another world – mind you I get this on most headphones but these really hit it home with deep bass. 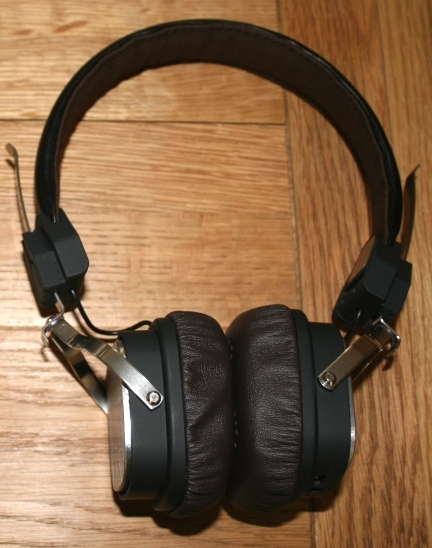 AudioMX headphones can be used to listen to the sound on videos from youtube for example. On many of these there is quite often some babbling idiot in the background saying how great they are at a game or whatever else, their voices are clear and easily audible. What a shame lol. How to connect the AudioMX headphones to Bluetooth. Connection was very simplistic. From the power off position, I simply have to press and hold the power on button for five seconds. After a while the LED will flash and the device should then be scanned for using the “scan” option under your android tablet bluetooth settings. It appears quickly and is ready for pairing. Once done you can then shut down the android screen and load your music player, game or video player and the sound will automatically be sent to the headphones instead of playing through the tablet speaker. 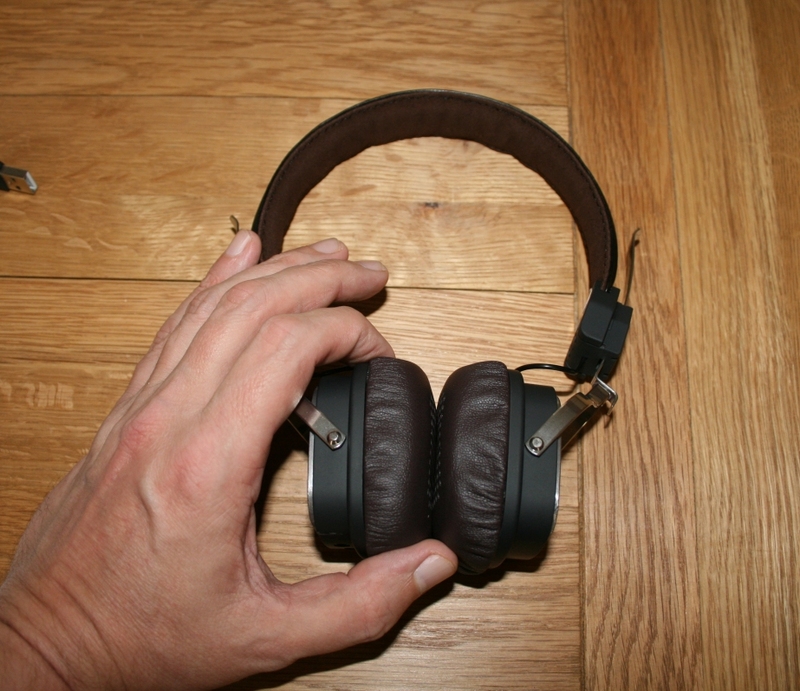 How Big are the AudioMX Headphones? Take a look at the image above – whilst you don’t know how big I am, you can see that the headphones are rather compact in size. Traditional headphones with the padding are often larger and more weighty than these, these are ideal for me and also younger wearers. The headband is thin but comfy and padded aswell, and the height can be adjusted to accommodate larger head fittings – this is performed by sliding the band up and down. Remember when I said they fold up to pack away – check out the main image above (top) and you will see how this works. All up these get 100% because they are by far the best headphones I personally have ever owned, and AUDIOMX have done a great job making them stylish and sounding equally good.